August: a month full of warm weather, beaches, barbecues and absolutely no hockey. For most hockey fans, August is just about as bad as it gets. You can’t remember the last time you saw a live game, your jersey is collecting dust in the closet, and the upcoming season is nowhere in sight. It may have gotten so bad, you’ve even forgotten important information like how to pronounce Mikael Granlund’s name. The next month may seem daunting, but do not fear. Here are five things you can look forward to that will help you make it to October. This one is of course a no-brainer. The streets of St. Paul will once again be flooded with Wild jerseys, the Minnesota Wild anthem will be stuck in your head for days on end, and you’ll finally have something to talk about. Home opener means hockey is officially back in Minnesota and all is right again. For the first time in a long time, the Minnesota Wild will begin the season with a solid starting goaltender, Devan Dubnyk. Last year, only days before training camp, the team encountered some goalie drama – in typical Minnesota Wild fashion. Josh Harding suffered a broken foot after kicking a wall; Darcy Kuemper wouldn’t agree to a contract; and Niklas Backstrom was the Wild’s only hope. Minnesota just couldn’t seem to catch a break last year. Things went from bad to worse, until the team acquired Dubnyk, who single-handedly saved the Wild’s season and propelled his team into the postseason. After his outstanding performance during the 2014-15 season, Dubnyk earned himself a six-year contract with Minnesota. With that matter settled, this season things will (hopefully) be a little different. The Wild will start the season with Dubnyk in front of the net, which, if all goes as planned, will give the team a much better chance at making the playoffs from the get-go. While the Wild do seem to be cursed when it comes to goaltending, it looks like the team may have finally found the answer. If the Dubnyk of last season returns in September, the off-season wait will be well worth it. So while you’re slowly going crazy over the lack of hockey, just keep this in mind: this year, you most likely won’t have to go crazy over the Wild’s goalie situation. This is a big one for Minnesota Wild fans. After much prodding by Minnesota Wild owner Craig Leipold, the National Hockey League finally gave the State of Hockey an outdoor game. As I’m sure all of you have heard, the Wild will host this year’s Coors Light Stadium Series at TCF Bank Stadium. While it may not be the Winter Classic, it’s still a big step in the right direction for Minnesota, and it’s guaranteed to be a great experience for Minnesota hockey fans. The game will take place on Sunday, Feb. 21, at TCF Bank Stadium on the University of Minnesota – Twin Cities campus. 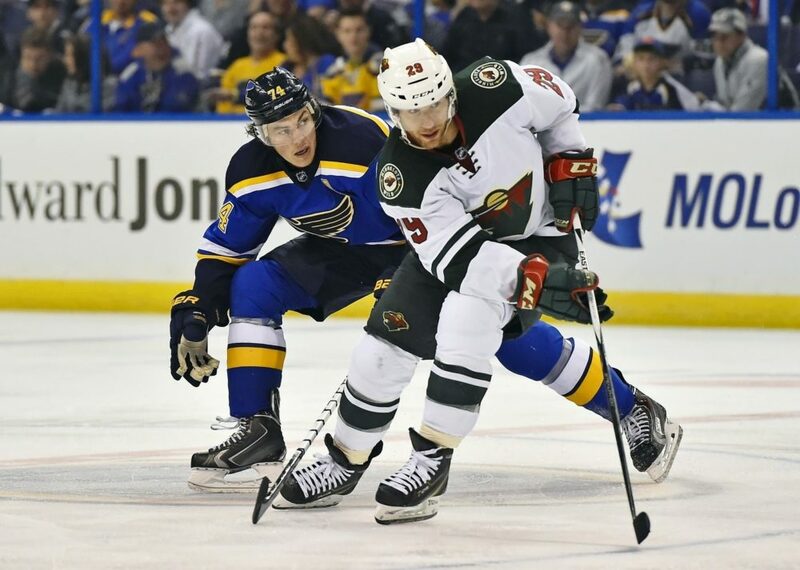 The entire weekend will be filled with hockey excitement and is definitely something for Wild fans to look forward to, whether you’ll be attending it or just watching at home on television. Before the current Minnesota Wild and Chicago Blackhawks take the ice on February 21, fans will have the chance to see alumni from both teams face off inside TCF Bank Stadium. The alumni game, which will take place the day before the Stadium Series, will feature former stars from both the Minnesota North Stars and the Wild. Minnesota’s alumni roster includes Andrew Brunette, Mike Modano, Neal Broten, Dino Ciccarelli and Wes Walz, among many others. Lou Nanne and Tom Reid have been selected to coach Minnesota’s alumni team. The full rosters can be found here. Youth has dominated Minnesota’s roster for the past few seasons. Players like Jason Zucker, Nino Niederreiter, Jonas Brodin and Marco Scandella have been focused on adapting to playing at the highest level of hockey and working to become elite players. With youth comes potential, but a lot of patience is required for it to pay off. This year, Minnesota finally seems ready to capitalize on its youthful core. Last season, many of these young players like Zucker, Scandella and Niederreiter were right on the brink of breaking out and becoming stars for the Wild. These young players have now had a couple of years to adjust to the NHL and become integral parts of the team. This season, these young players are primed to break out and push the Minnesota Wild to new heights. The Wild still seem to be considered underdogs around the league, and even after last season, not many people are taking them seriously. The future is bright for this team, though. Minnesota has countless young players ready to take things to the next level. Things finally seem to be falling into place for the Minnesota Wild. If you aren’t looking forward to anything else on this list, at least look forward to seeing how this team is going to develop throughout the 2015-16 season. My bet is people start to take this team a little more seriously.